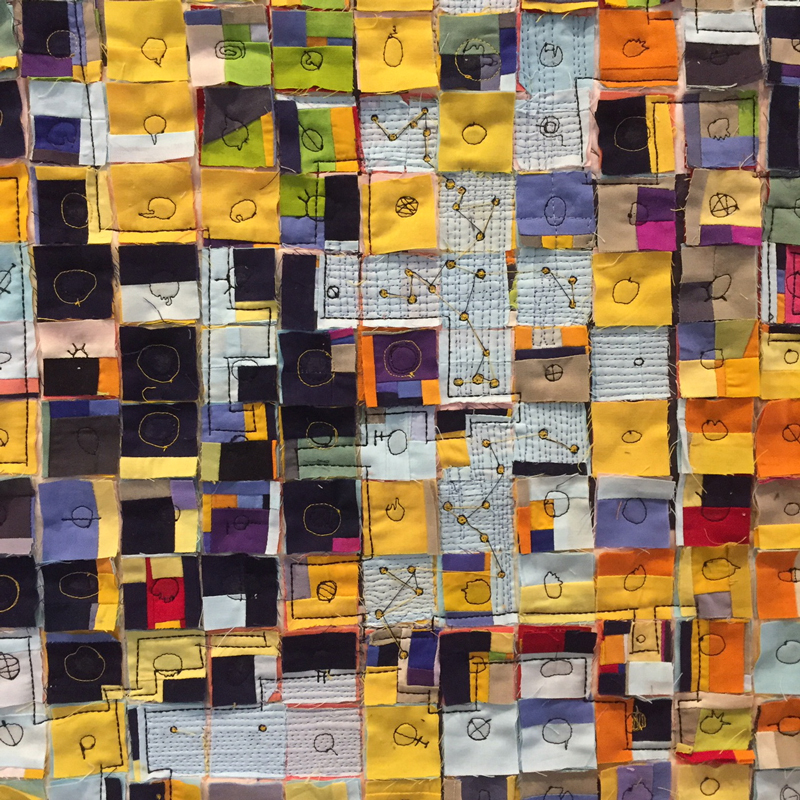 About 2 years ago I thought it might be a good idea to organize a quilt festival in Memphis. 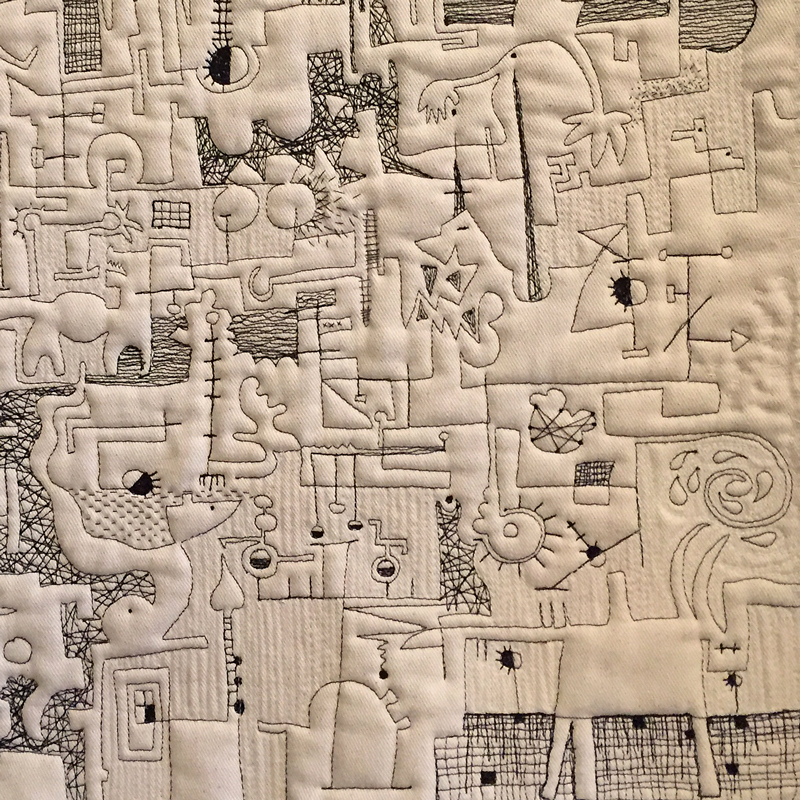 There are quilt shows in Memphis. 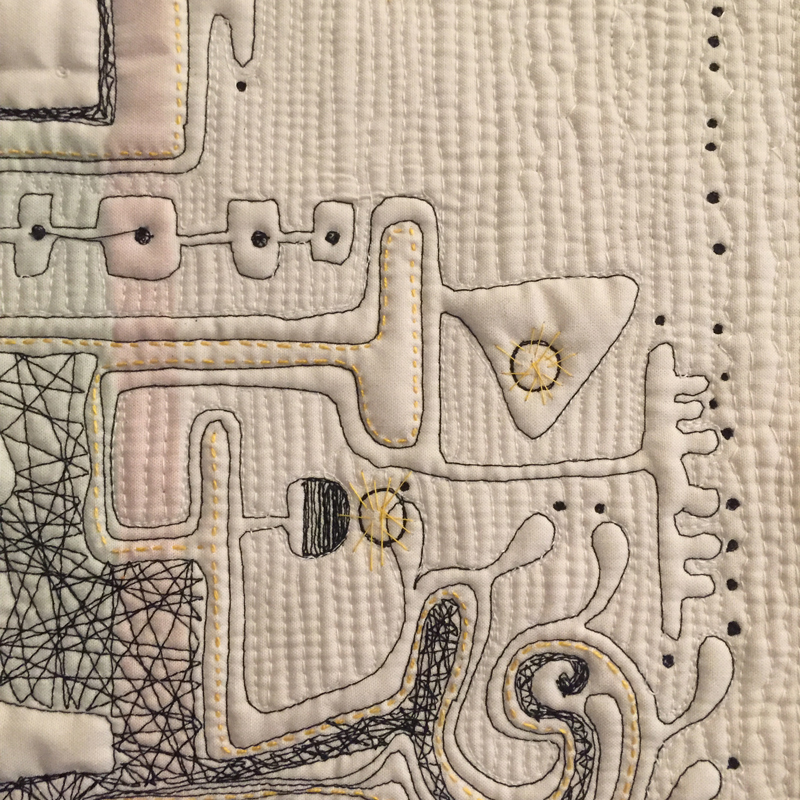 They show traditional quilts with exquisite stitching. I love seeing that work. I had a different idea. 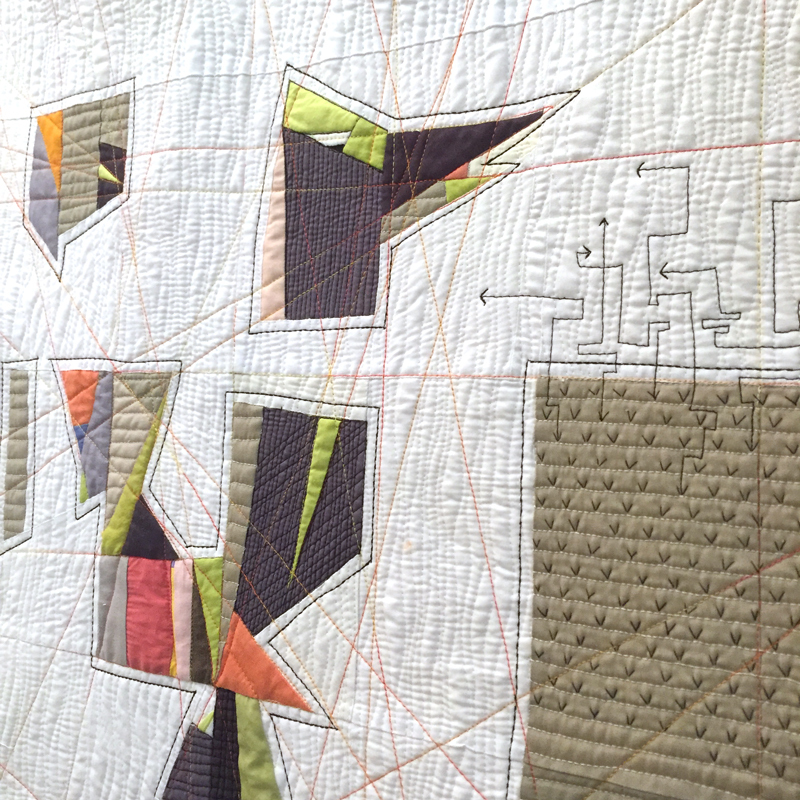 I thought I could assemble enough quilters, artists and makers to present quilting as an art form. 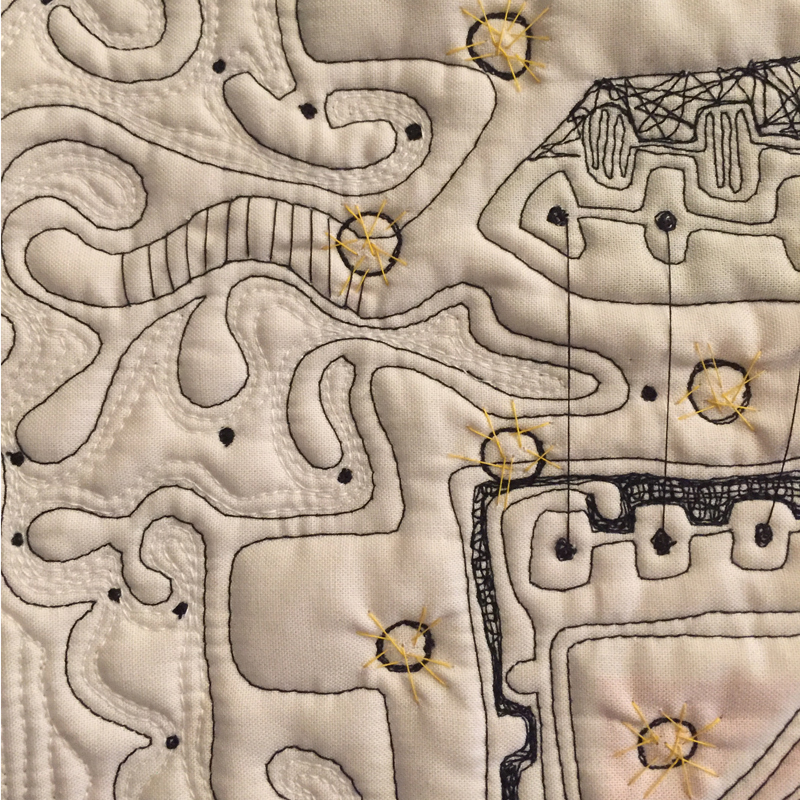 There are art quilters out there (though not many in Memphis) and there are artists in Memphis (though not too excited about quilting) but I persevered. 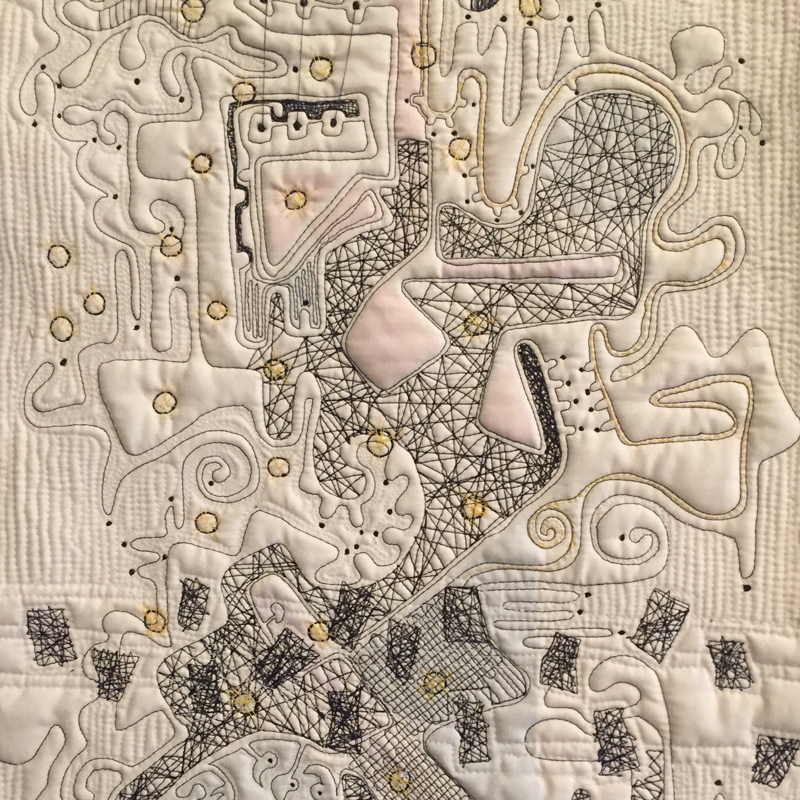 The BLUE show will be part of the STITCHED festival opening on May 10 at Crosstown Concourse in Memphis, TN. Memphis has an incredible new venue. It is a completely renovated warehouse called Crosstown Concourse that stood vacant for almost 20 years. A group of visionaries put together the money and expertise to transform the blighted space into a community of businesses, art galleries, restaurants, shops and a high school. They built a black-box theater, sculpted the parking lots into welcoming community spaces, worked with local stakeholders to build a community and transformed our ideas about what can be possible. All this with the vision of helping to cultivate the creative arts community in Memphis (read their story here). How cool is that? And now they are hosting Stitched. Like us on Facebook or follow us on Instagram @stitched2019. 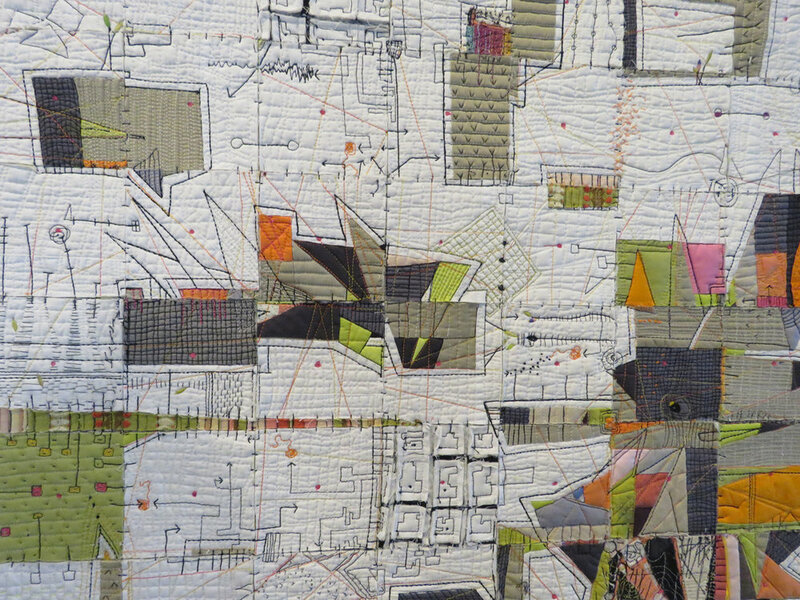 Stitched includes two quilt shows, Masterworks: Abstract and Geometric from SAQA and the BLUE show, a regional call for entry for quilters, artists and makers. We have planned two community workshops, one focused on children by Amie Plumley and one on community members by Maria Shell. 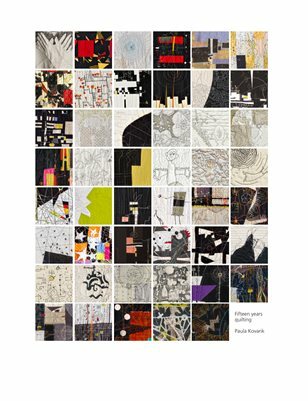 Martha Sielman, author, curator and Executive Director of Studio Art Quilt Associates, Inc. (SAQA) is coming in for a lecture on May 11. 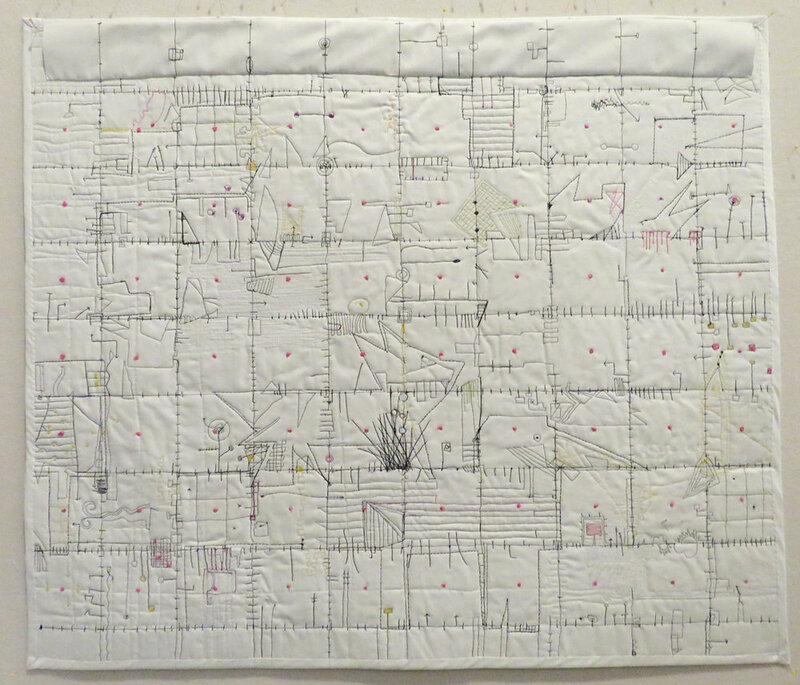 Because of some dedicated and inspiring volunteers students at Crosstown High and elementary students at the Carpenter Art Garden are learning to quilt. 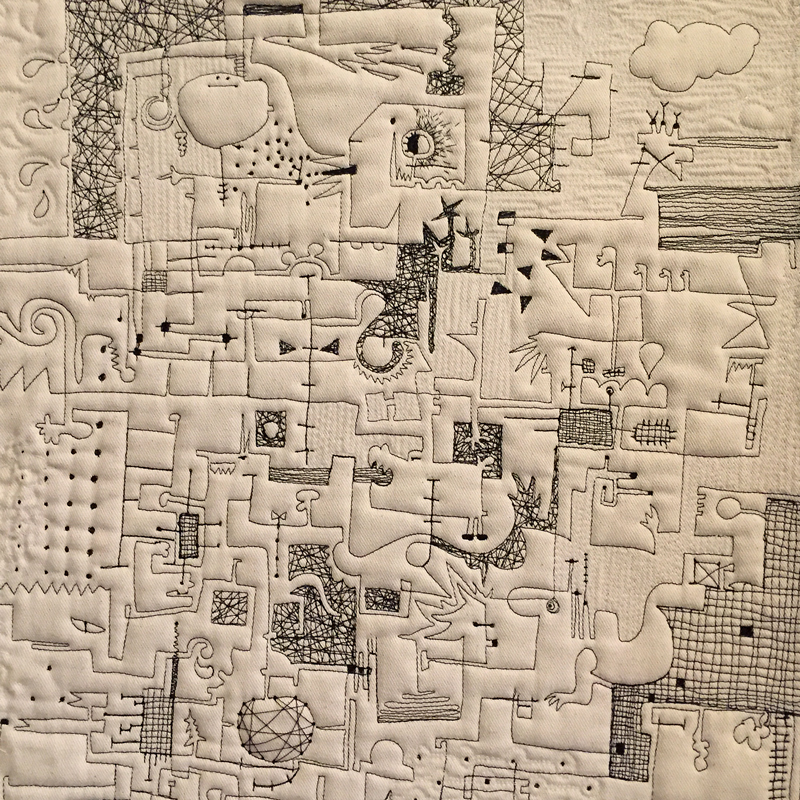 And, on June 8 we are hosting the community Show-and-Tell event where anyone can bring a quilt to share on stage with an audience of quilting fans. Make some plans to get to Memphis this year. 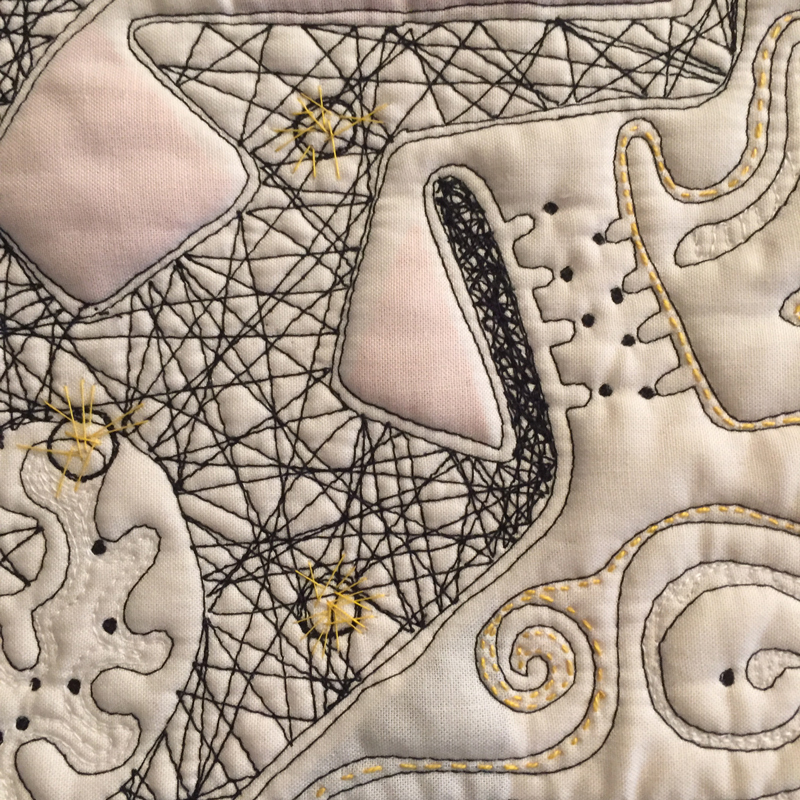 From May - July the focus is on the Art of quilting. The azaleas bloom in May and I’d love to show you around. Taste buds do it. Ear worms do it. Lurking scents do it. Words do it. Dreams do it. If I see a picture of french fries I can actually taste them. Play a Joni Mitchell song for me and I will hum it for weeks. If I smell Old Spice aftershave I think of my father. 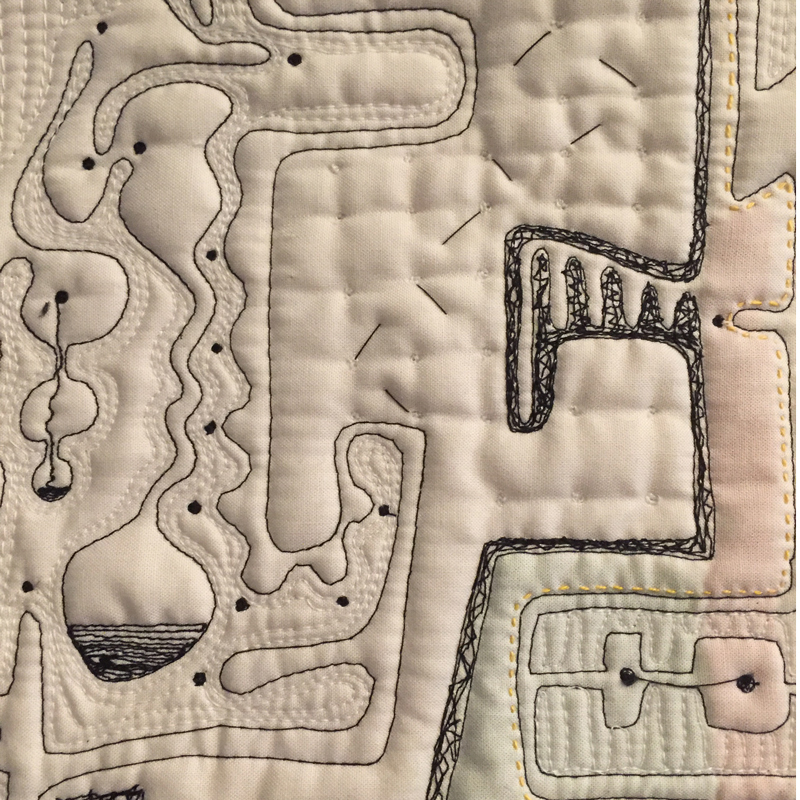 If I see a drawing that speaks to me I’ll find hints of it in my stitching. I think one of the reasons I make art is to catalog all of the influences in my life. I want to leave a record of my thoughts. I am receptive and susceptible to outside influences. It is often beyond my control. I’m reading about the history of cancer (The Emperor of All Maladies: A Biography of Cancer by Siddhartha Mukherjee). A second book about the biome of bacteria we live among (Never Home Alone: From Microbes to Millipedes, Camel Crickets, and Honeybees, the Natural History of Where We Live by Rob Dunn). I just finished 1491, a book about the millions of people who were in the “new” world before the Europeans got here (1491: New Revelations of the Americas Before Columbus by Charles C. Mann) . Their story and how the explorers of today are unearthing the truth behind it simply entrances me. And how do these three non-fiction books relate to my art practice? They make me think. They bring up imagery that I didn’t have before reading them. They turn on the receptors in my brain, enliven my curiosity and add to the library of imagery that I might incorporate into my work. Here’s how reading non-fiction can change the way I work. This layout has been on my design wall for a number of months. I couldn’t finish it because it didn’t have any meaning to me. Just a pretty picture. I liked the colors but not the layout. It lacked something important. Last week I cut all the pieces of it into 1.5” squares and layered them with other 1.5” squares. I was thinking about specimens and trial balloons, invasive cellular growth, archeological layers and population centers. I stabilized the layers with small dots of glue. It was a mistake. The glue changed the color of the fabric and looked like I had stained the fabric. Not one to waste an opportunity, I decided to outline each stain. As if I was identifying bacteria in a slide or pinpointing a clay shard in an archeological dig. The piece started to take on its own character as I began to identify groupings. I added a rough grid pattern in the light blue squares to imitate scientific exploration. I added detail to some of the stains to identify differences. The next few weeks will be devoted to identifying more connections and details. The edges are flapping off the background on purpose. I love how they add action to the piece. I’ll put the piece into the dryer after wetting it down to fluff it up and fray it even more. Knowledge has raw edges. This is what the back looks like today. I use drapery blackout lining for these pieces. 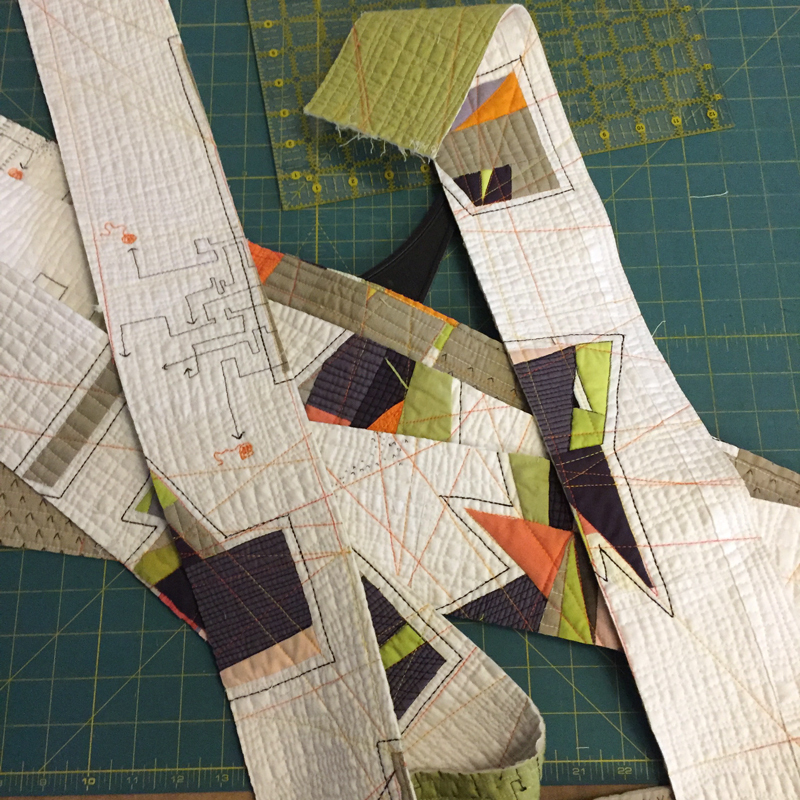 It stitches like a dream, adds body to the final piece and doesn’t stretch. 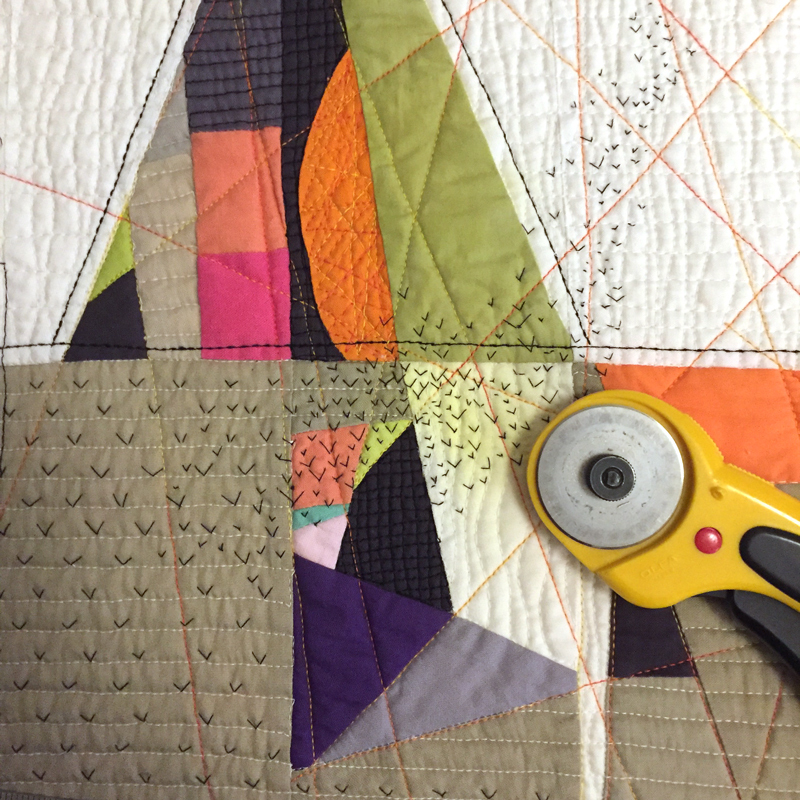 It can hold the weight of the quilt that is sandwiched between this backing and the scrap pieces. And, I like this side almost as much as I like the other side. I love how the back reflects the same narrative in a sparer context. The work on this will continue for a while. I like how it is moving along. I feel like I am tuning in to a different frequency when I work on it.